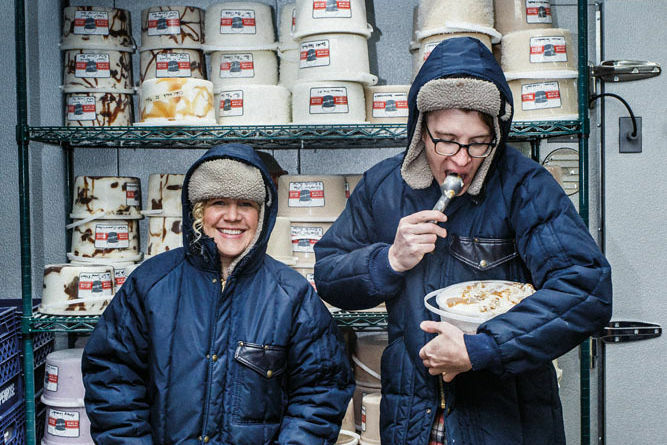 It's a rainwater and spruce tips ice cream that “encapsulates the experience of flying into Portland.” Seriously. Salt & Straw's new, limited edition "PDX’s Rainwater & Spruce Tips Ice Cream"
The Gorge is still on fire, Texas is underwater, and Trump is…Trump, so the news that Salt & Straw has concocted an ice cream flavor that “encapsulates the experience of flying into Portland” makes me either want to slow clap in delight or punch something really hard. I just don’t know. What’s that translate to? Glad you asked: “Doug Fir tea and spruce needles are simmered in real Oregon rain water and then a touch of milk and a touch of Oregon ocean water from Jacobsen Salt are added in and finally a special hazelnut bark brittle made with Cocanu’s grey bar is stirred in, to pack in Portland’s beautifully rainy, gorgeous scenery into a scoop.” Honestly? That sounds pretty damn delicious. You literally could not get more Portland right now unless you slit open our collective gullets and scraped out all the rosé and ash we’ve been consuming the past few days. 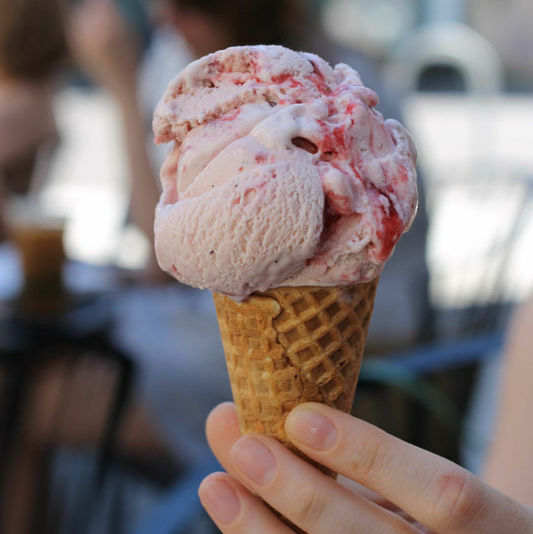 It’s the culmination of all of Salt & Straw’s bold, loopy, lovable, region-defining flavors, which have tapped everything from chef’s obsessions to compost bin fruits and veggies in past years. 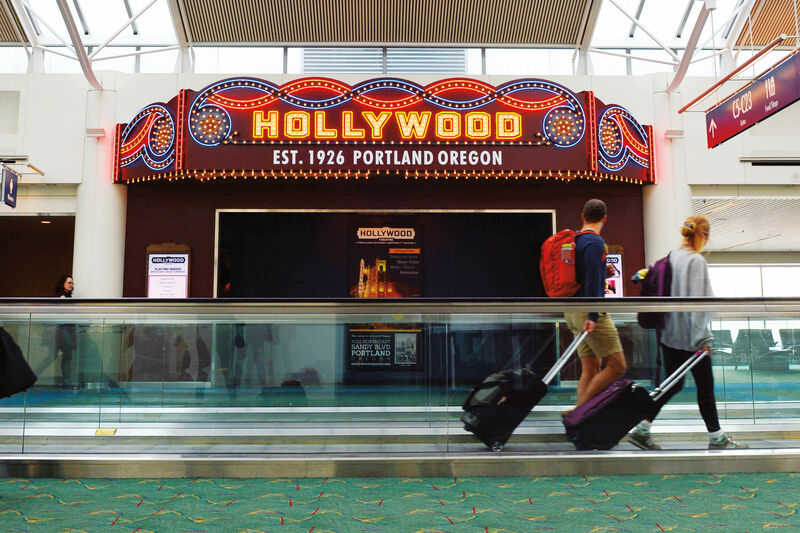 Add in the PDX Airport, an unexpected master at pushing local branding to insane levels—food carts and PDX Carpet Instagram accounts to the Hollywood Theatre—and you’ve got Peak Portland in a cup. It’s either brilliant or a warning sign that Salt & Straw may be veering dangerously close to Rogue Ales & Spirits/Voodoo Doughnut Bacon Maple Ale territory. You decide. 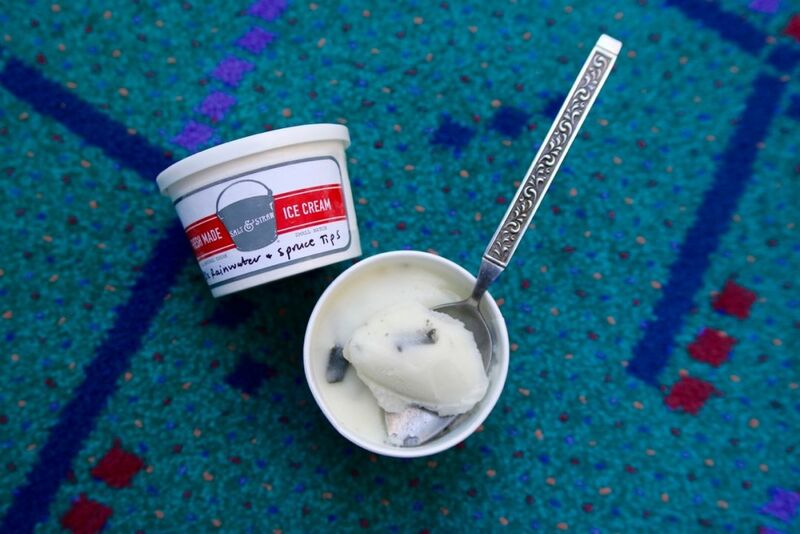 Single scoop cups will be available at the PDX Airport (Tender Loving Empire and Country Cat locations) and at S&S’s local scoop shops September 13–17. 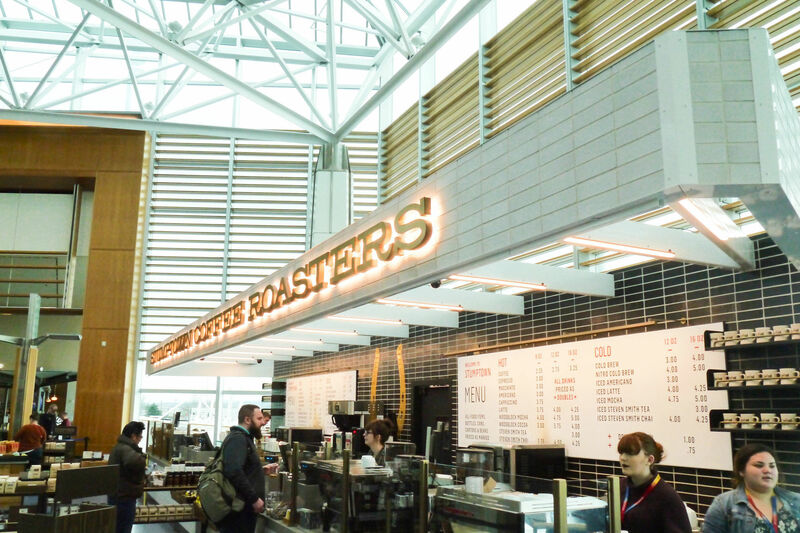 Bonus: On Wednesday, September 13, lucky tourists flying into PDX around lunchtime will get free samples from a S&S cart parked on Concourse D.
Portland—never, ever change. Except stop being on fire, please. 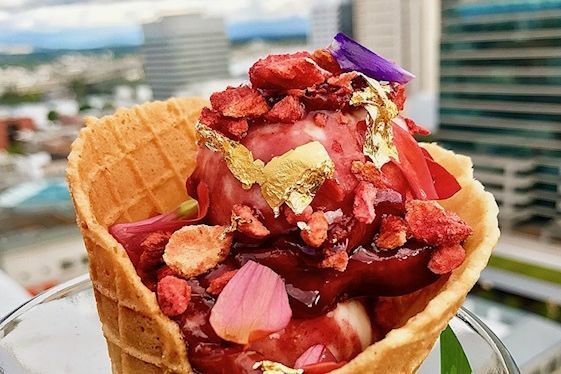 Is Gregory Gourdet Making the Desserts of Summer?